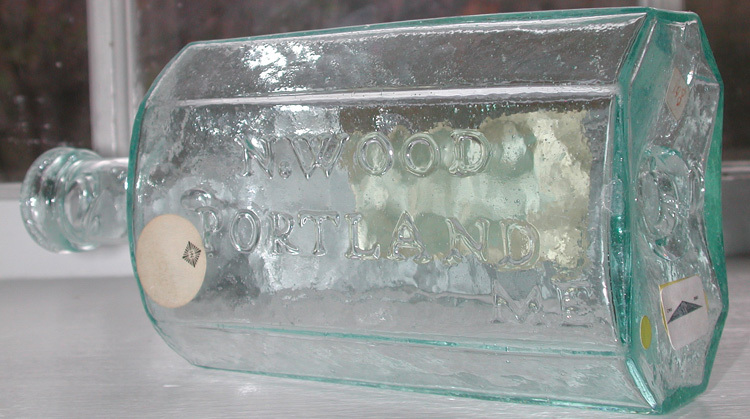 Description: Nathan Wood began as a dealer in Botanic medicines in Portland, Maine in 1845. He had bottles embossed with his name soon afterwards and they contained a variety of prescriptions with only a label to identify the brand. 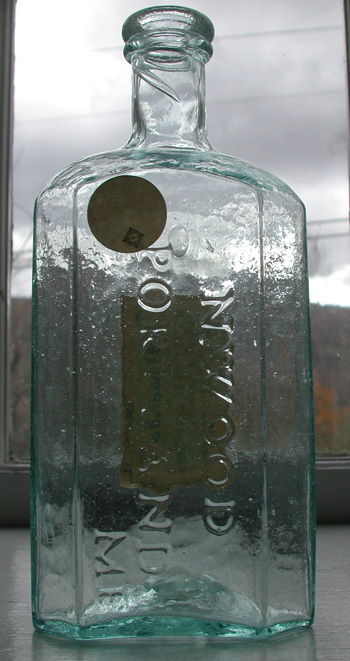 It is likely this bottle contained N. Woods Improved Vegetable Bitters, before finding another prescription from the Brandon, Vermont Pharmacy. 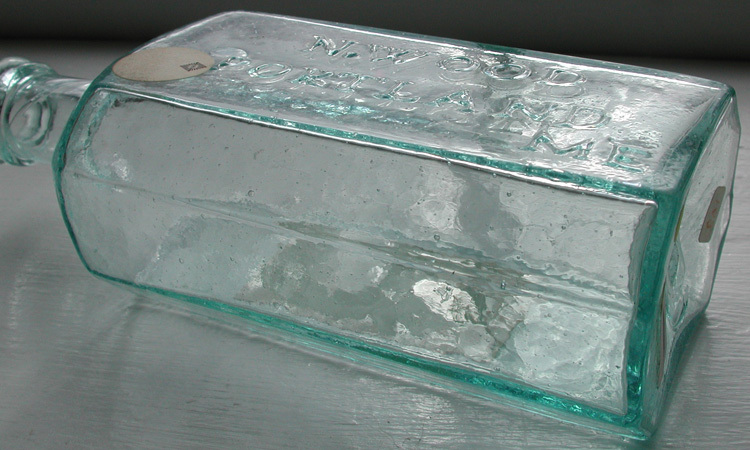 This medicine was in the McKenzie Collection, sold by Heckler several years ago. American c.1860, pontiled. 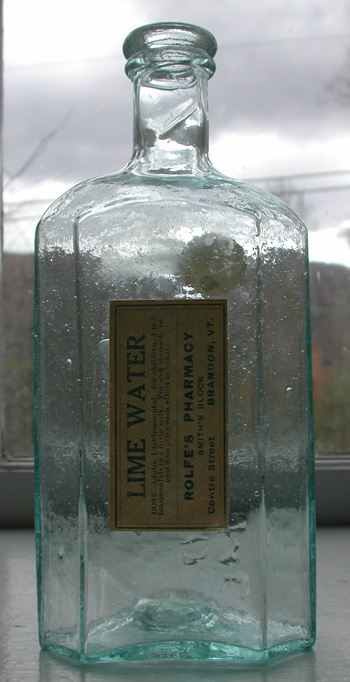 Label: Complete Label from Brandon, Vermont Pharmacy.